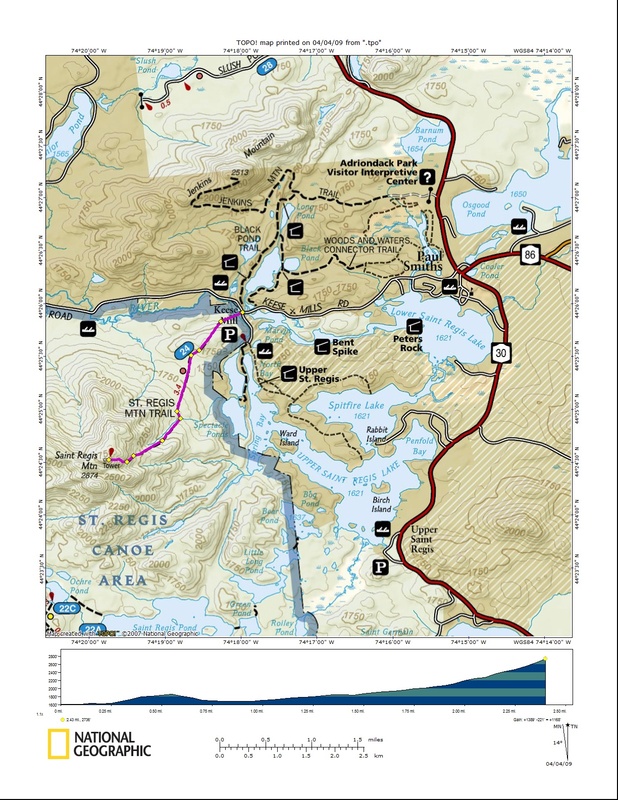 The 2874 foot Saint Regis Mountain is located in Franklin County at the center of the Saint Regis Canoe Area in the Adirondacks. 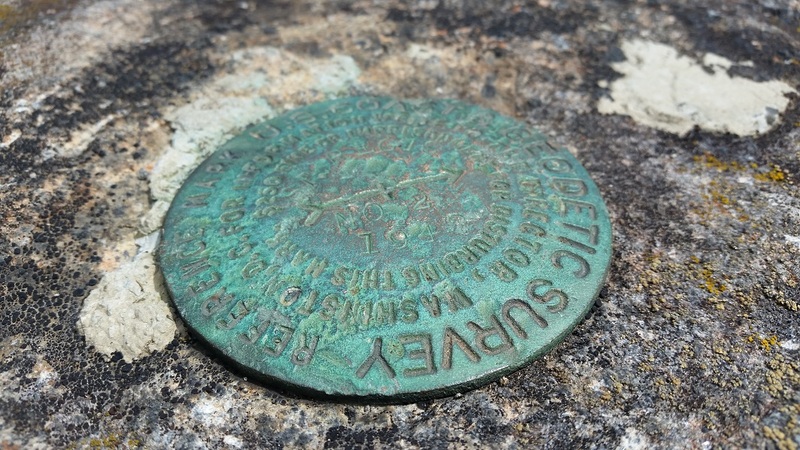 It is part of the ADK Fire Tower Challenge as well as the Saranac Lake 6er challenge. The summit is bare rock after being cleared by a fire accidentally started by a surveying party led by Verplanck Colvin in 1876. 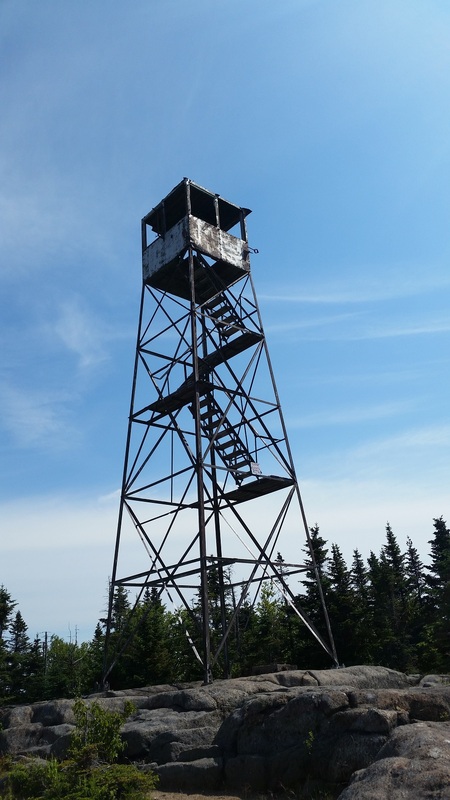 There is a fire tower on the summit that is presently closed but is planned to be restored by the DEC. The trailhead is on Keese Mills Road in Keese Mill, west of Paul Smiths. The trail is a gradual 3.3 mile ascent to the summit. This moderate hike has an overall elevation gain of 1168 feet. The view from the summit includes thirty lakes, including the Upper and Lower Saranac Lake, and Upper and Lower Saint Regis Lake. The high peaks can also be viewed from the summit. Since the summit is bare rock, the views from the summit are spectacular and many people consider the view one of the best in the Adirondacks. The trail up to the summit is well worn. The hike starts out very easy, however close to the summit the trail gets very steep in some places. Pictures on this webpage are courtesy of Jake Wilde from July 2015. Directions: NY 30 to Paul Smiths. Turn left on Keese Mills Road at the NY 86 junction. The very popular trailhead is on the left after two miles in Keese Mills.